NEW BEDFORD, Mass. – Southcoast Health today announced a teaching collaboration with the Alpert Medical School of Brown University. Under the collaboration, Brown University medical students started participating in clinical rotations at Southcoast Health. Third-year Brown Medical students began receiving education at Southcoast sites by Southcoast employed physicians during their Core Clerkship in Pediatrics in May, and will be training in other areas, specifically Family Medicine and Obstetrics & Gynecology, in the near future. Education in the “doctoring program” for first and second year students and “clinical elective” rotations for fourth year students will be offered as well. “Southcoast Health, with its forward thinking focus on patient-centered, integrated care and its emphasis on Population Health, offers unique educational opportunities for medical education in the New England region,” said Dr. Victor Pricolo, Chair of the Department of Surgery at Southcoast, who has been appointed Director of Brown University medical education at Southcoast. “This collaboration is a wonderful opportunity to expand the clinical experiences for our medical students and engage them in the communities served by Southcoast Health,” said Dr. Allan Tunkel, Associate Dean for Medical Education at Alpert Medical School. 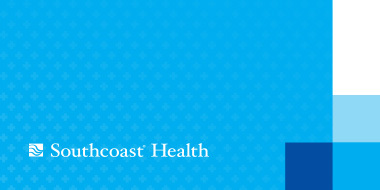 “This is a very prestigious endorsement of the nationally recognized achievements and the excellence of clinical programs at Southcoast Health, as a model of care that can provide valuable education to the physicians of tomorrow,” added Pricolo.